I want to be honest with you about how long you can expect your terrarium to last and thrive. Many blogs show fast and easy terrarium crafts in tiny glass vessels and bubbles, but they rarely show you what a tiny terrarium will look like after three months. Probably dried out or moldy. Tiny terrariums are cute if you think of them as a cut flower arrangement. 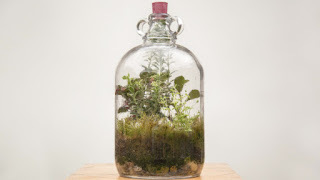 But part of the thrill of building terrariums is chasing the lasting terrarium, which sometimes means restarting, trying new combinations of plants, soil, and containers - until the ecosystem clicks and then plants thrive. 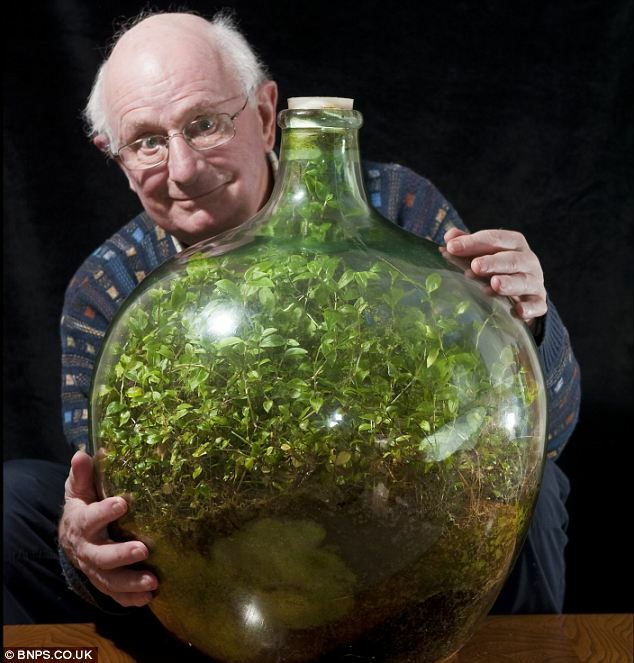 My longest-lasting terrarium was built in a wine jug and lasted about three years. It looked a lot like the photo above from thedebrief.uk. Note the deep moss roots, and appearance of algae type stuff in the bottom layers of the soil. This is what a slice of the outdoors looks like under glass! Use a large enough glass container. A general equation seems to be, the larger the container, the better the chance the terrarium has to thrive. Use an adequate amount of soil. If plants are to grow, they will need some space. Use healthy plants and moss that have been inspected for insects and washed if needed. Select plants that have similar light and water requirements (e.g. woodsy ferns with moss, succulents with cacti.) See 19 of the most popular terrarium plants. Keep up with terrarium maintenance! This includes managing water and temperature levels (e.g. water occasionally and don't leave it in full sun all day). You might need to put a lid on your terrarium occasionally to help keep water in the system. You might need to remove dead leaves or scrub the sides of the container of algae fuzz. If all else fails, try again. Don't be afraid to restart your terrarium if mold takes over, plants die, or insects infest. Shake it all out, scrub out the container with water and a bit of bleach, and try again when it is dry. Fresh plants and soil! How long has your healthiest terrarium lasted? 53 years? Very neat! Do you find you need to clean the inside of the glass periodically? Every couple of months I just wipe down the parts I can get to without disturbing the plants. I added a ring of silicone around the rim of the lid so it seals better and I've only watered it a couple of times. You wanna hear something funny? A few years ago I starded a few tiny moss terrariums in mason jars. After a year or so they looked like an infant version of the pic at the top of the post. I thought I had failed. I am starting again, repurposing a 2 gal aquarium.